This Graco HVLP spray gun fluid set has a 2.9mm/.115" opening. It is best used with medium viscosity paints, such as latex and multi-spec. 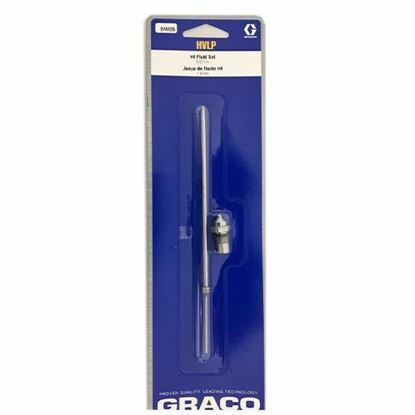 This fluid tip consists of a fluid nozzle, and fluid needle. 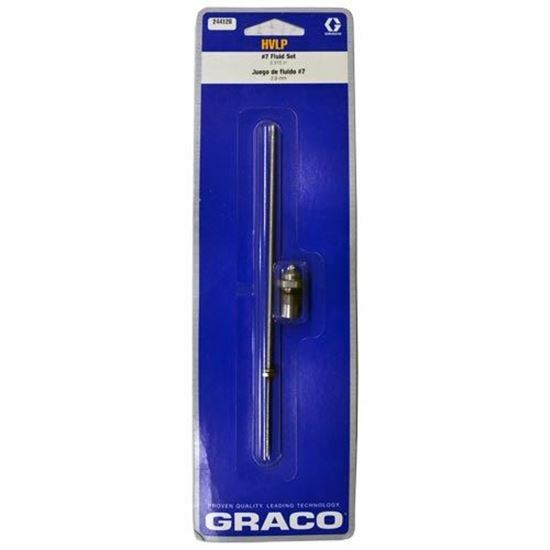 This is used on Graco's HVLP turbine guns (NOT Compatible with Edge Gun).